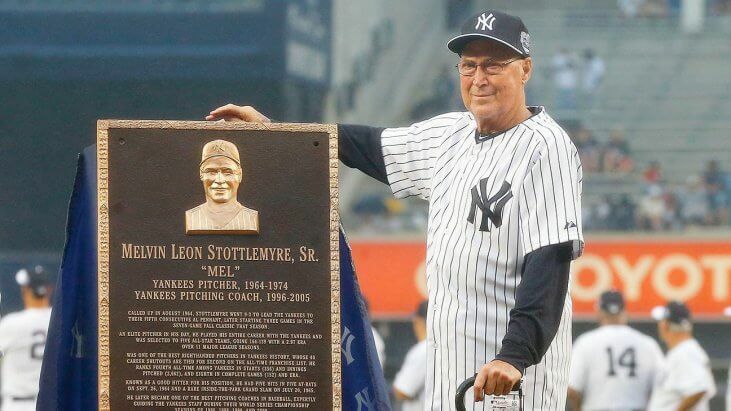 We’ve just learned that baseball legend Mel Stottlemyre passed away after many years dealing with multiple myeloma. Stottlemyre was a legend for anybody who cares about the New York Yankees. For a whole other community of multiple myeloma survivors, his longevity through the disease represents a watershed. Multiple Myeloma is a pretty rare form of cancer. According to the American Cancer Society, about 30,770 people will be diagnosed with multiple myeloma this year and about 12,770 will die from it. Stottlemyre lived an incredibly long time for someone with this disease, even after it returned for a second time in 2011. Dr. Nina Shah, a hematologist at UCSF, told us that myeloma can be one of the trickiest to diagnose– a diagnosis often starts with a patient telling their doctor they feel tired, weak, or have notices increases in the number of infections they get in a year. It also often starts with some pain in the back, hips or scull. After a diagnosis, a series of blood tests can help doctors understand protein levels, blood count, and your DNA. The DNA test help doctor’s determine levels of risk, which can help with treatment. After myeloma treatment, recurrence is possible. Dr. Shah tells SurvivorNet that there are available resources for trying to keep myeloma at bay after treatment, including drugs that help keep the immune system on guard for the possibility of myeloma’s return.